Chews Lane is open, today, at last. The development, under wraps (of sorts) for the last couple of years, has been opened back up to public view, at least on the ground floor. The historic Lane itself has been re-opened, and businesses are poised to open their doors. 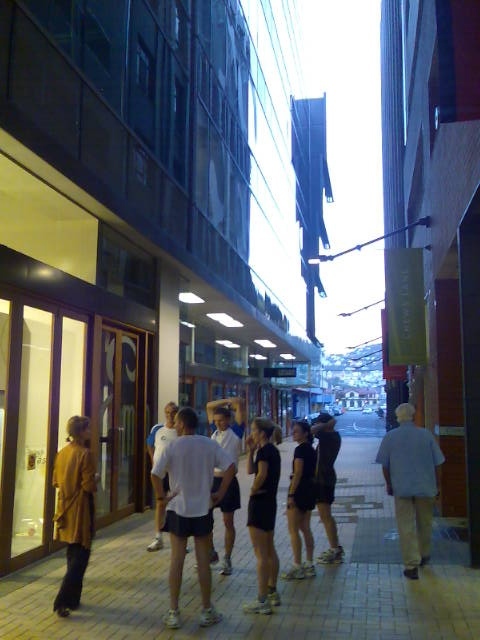 Some are open already – witness this photo of a gang of supremely fit joggers poised to purchase more water bottles, and the sight of a clear link to the old boating sheds should be a good lure through the link to the other side. 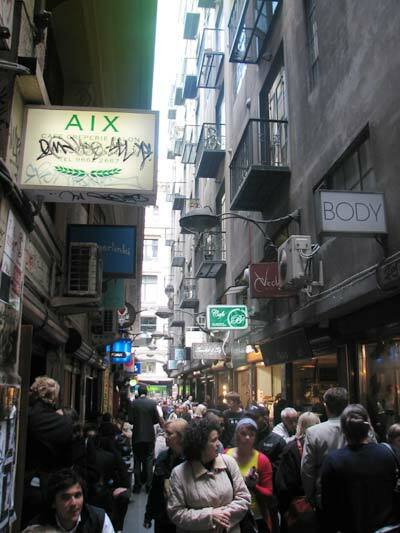 One thing the Melbourne lane above has is the fact it’s right beside the Flinders Street Station. Perhaps the best placed for traffic in Wellington is the Lambton-Terrace, which still has room for this style of development (I’m thinking of that carpark in behind).